Welcome to 3824 Wilkesboro Way in Modesto!!! 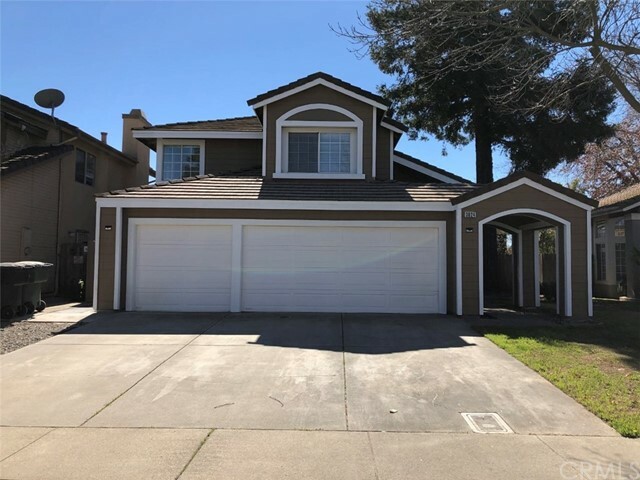 This 2-story home with 4 bedrooms and 3 full baths is located near schools, parks, shopping, and a few minutes away from freeway access. At approximately 2,411 square feet, this home features a spacious living/dining room combo with laminate flooring, a tiled counter top kitchen with built-in appliances, separate living/family rooms (one with fireplace), 1 bedroom and full bathroom downstairs, 3 car attached garage, backyard with lots of potential, and much morWelcome to 3824 Wilkesboro Way in Modesto!!! This 2-story home with 4 bedrooms and 3 full baths is located near schools, parks, shopping, and a few minutes away from freeway access. At approximately 2,411 square feet, this home features a spacious living/dining room combo with laminate flooring, a tiled counter top kitchen with built-in appliances, separate living/family rooms (one with fireplace), 1 bedroom and full bathroom downstairs, 3 car attached garage, backyard with lots of potential, and much more!! !